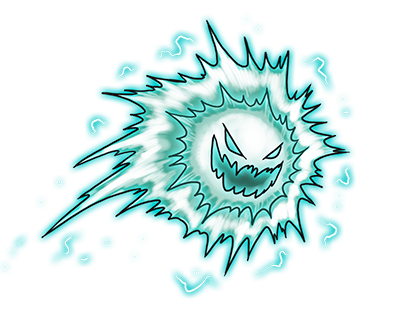 This ball lightning Kreature is made up of a swarm of electrical micro-organisms that cluster together into a hovering sphere. It was designed for electronic warfare, generating EMPs to scramble enemy communications. It can also possess electronics and take control of them. It reproduces by absorbing electricity and dividing. Feral specimens are drawn to cities and power plants, where they can become pests that cause blackouts. I wonder if eventually scientists at kreature making companies would create a kreature specially designed in handling feral Ballectric?